Nothing better than an evening with Caribbean Art set in a beautiful location. 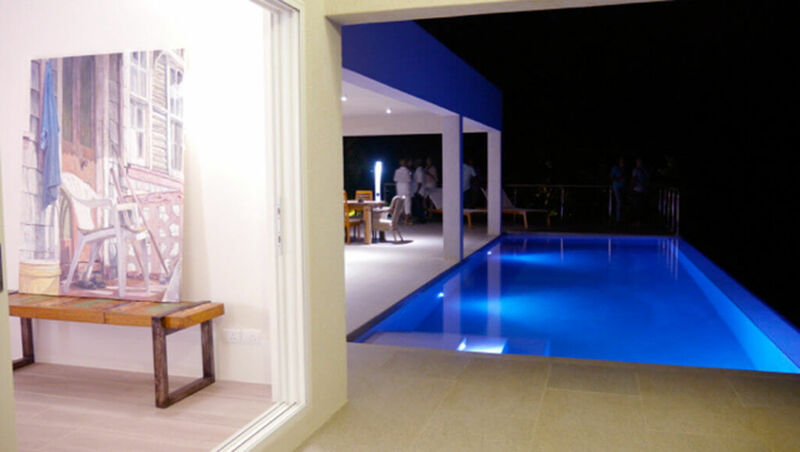 Laluna launched its new villa with a cocktail evening, showcasing the Caribbean art of Judith Jarvis. Judith is a British artist that moved to Grenada 10 years ago. 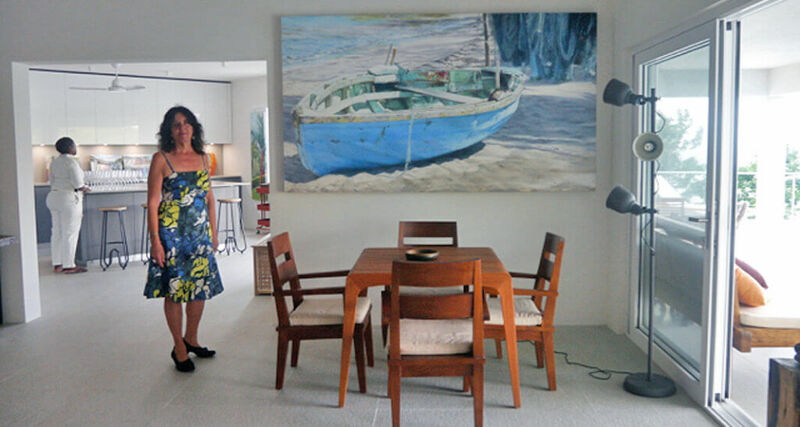 She has been doing incredible works of art, featuring the simply beautiful life of locals in Grenada. She is known and appreciated for her works of fishing boats, portraits of the local people and the tropical foliage. Laluna decided to collaborate with Judith to create an evening of Caribbean Art to launch the new villa. This luxury villa is added to the collection of villas that are offered for sale at Laluna Estate. Owners can add their villa to the rental pool that is managed by Laluna. These investment opportunity villas, also offer the opportunity to have a laid-back Caribbean lifestyle. 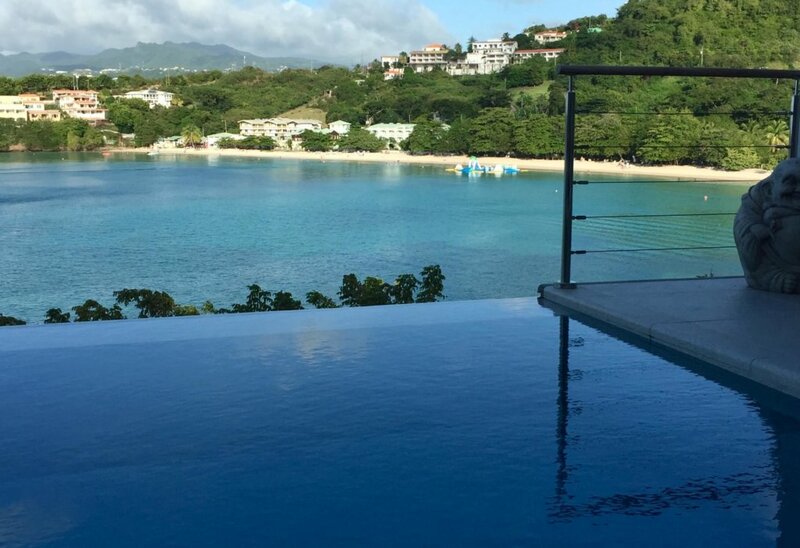 One may take advantage to gain a Grenada passport and become a local. Each villa comes with a 9-meter berth at The Camper and Nicholsons, Port Louis Marina. Take up fishing and have your own boat. This new villa just steps away, from a private dock for the villa residents. 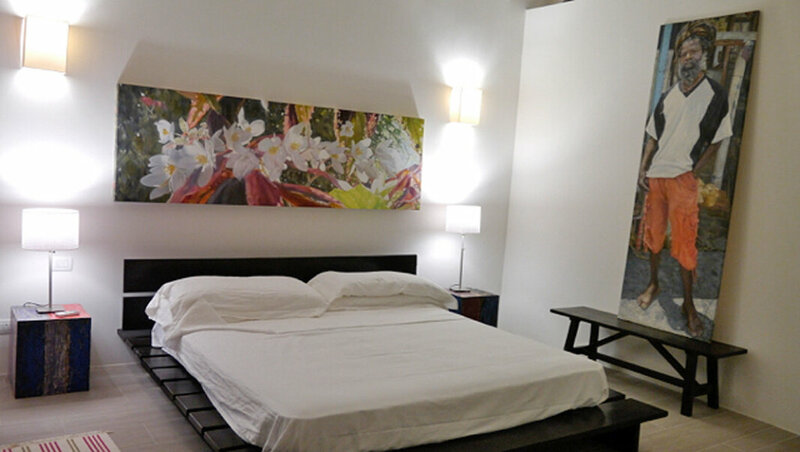 Villa occupants can take advantage of all the amenities of Laluna hotel. Amenities include the Italian restaurant, Sunset bar and Lounge with a daily happy hour. An Asian Spa with Balinese therapists, and daily yoga which is offered at the yoga pavilion directly on the beach. The Italian designed, five-bedroom villa sits at the water’s edge. Offering stunning views of Morne Rouge Bay, Quarantine Point, and the majestic hills of Grand Etang as a backdrop. Laluna hopes to continue other evenings with Caribbean art, to assist to boost the local talent here on the island of Grenada.